The M9 carves its way through the centre of Kafue, a ribbon of tarmac that neatly splits Zambia’s largest park in two. Yet it is largely devoid of traffic and the speed limit is low: think ‘elephant’ rather than ‘juggernaut’ and you’ll start to get the picture. Characterised by an undulating plateau that encompasses a wide variety of habitats, the park takes its name from the Kafue River, which meanders through the north before taking on a formal role as its eastern boundary. Wide, deep and slow moving, the Kafue and its tributaries are key to the survival of wildlife here, their permanent waters an irresistible draw during the long, dry months when dambos dry out. Despite the poaching of the 1970s and ’80s, Kafue’s wildlife is staging a comeback. Herds are once again thriving on the plains, stalked by lion, leopard and wild dog. Miombo and riverine woodland protect one of Zambia’s richest concentrations of birdlife, from the startlingly garish Ross’s turaco to Pel’s fishing owl. Elephant numbers are rising too, while in the rivers hippos vie for the best spots, like tourists bagging sunloungers. 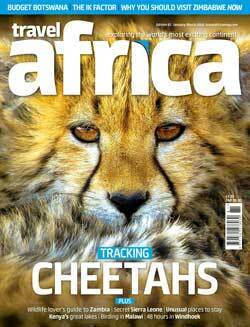 As the wildlife returns, the appeal of Kafue rises. And as tourist lodges develop, their very presence discourages poachers. To reinforce the message many lodge owners put in time on anti-poaching patrols. The battle may not yet be won, but visitors are playing a considerable part in deciding the future of this still under-visited park. Chugging quietly upriver on a pontoon boat, it’s hard to believe that Lusaka is only four hours’ drive away. Hippos peer above the waterline before sinking back out of sight. Along the banks, shaggy puku graze, apparently oblivious to crocs basking just below, or lions dozing in the shade. Elephant wade into the muddy shallows to cool off. Vervet monkeys and yellow baboons scamper along the ground. And everywhere are birds: storks, herons, kingfishers and – if you’re lucky – an African finfoot. Kafue boasts more than 500 bird species. 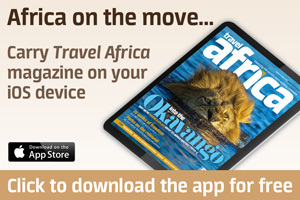 From central Kafue it’s a long, hot drive – or a short hop by plane – to Kafue’s far northwest, a tantalising area of swamps and floodplains defined by the Lufupa River. Dotted with raised ‘tree islands’, it is inaccessible for half the year, but whereas the Busanga Swamps are permanently wet, the floodplains are seasonal. From mid-June, as the land dries out, they become a magical wonderland for safarigoers, whose needs are met by a clutch of excellent lodges. At their best, the plains teem with red lechwe and puku, alongside zebra, blue wildebeest, Lichtenstein’s hartebeest and oribi. Roan and sable antelope are found here too, but rarely seen is the elusive sitatunga, which retreats to the swamps with the receding floodwaters. With a plentiful living larder, the plains are perfect for lion. Antelope are high on their menu, but there’s also the odd small herd of buffalo, and one evening we watched a pride fussing over its latest kill – a horribly bloated hippopotamus. Expanses of long, tawny-coloured grass offer camouflage for hunting cheetah, while along the fringing woodland, the sudden trumpet call of an elephant can add a frisson of excitement to a guided walk. While the northwest of the park claims much of Kafue’s glory, lesser-hailed sectors have their own appeal. For years, fishermen from Lusaka have been drawn to the eastern fringes of the Kafue. The fishing is indeed good, but there’s more to the east than the yellowfish, pike and humpback bream that lurk beneath the surface. In parts, the waters are shallow enough to be free of hippo and crocodile – but never rely on it: just downstream they’ll be out in force. Malachite kingfishers and leopard tree orchids brighten up the riverine vegetation, and lions are rarely far from their antelope prey – the fact that lion expert Chris McBride runs a lodge in this area speaks for itself. Head southwards, and – like a kaleidoscope – the picture changes once more, conjuring up expanses of Kalahari sand interspersed with stretches of woodland. Game here, like the lodges, is patchy – and the two tend to be interlinked. Around the lodges the game is relatively relaxed and plentiful, but beyond can be a different story. 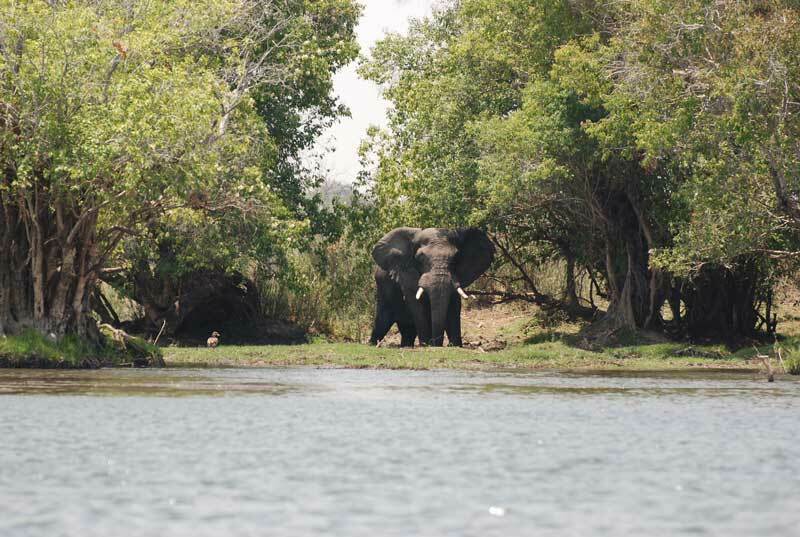 Notably, southern Kafue has a large number of elephants in the area around the ZAWA headquarters. Somewhat surprisingly, the ‘heart’ of Kafue has little infrastructure and is rarely visited, yet just over the boundary, in the Namwala Game Management Area, a couple of lodges play their trump card: the river. Around KaingU, the Kafue’s wide flow is interrupted by giant boulders that transform the landscape. There is a great variety of birdlife that you’ll find among the rapids, where seven species of kingfisher and the little rock pratincole are in their element. And few African rivers offer pools above the rapids where you can cool off in the heat of the day. The Kafue flows ever southward until entering the lake formed by Itezhi-Tezhi dam. Chris Cooke, owner of the lakeside lodge Konkamoya, claims a “noticeable increase in game since 2007”. Big cats also appreciate the hunting terrain at the water’s edge. Even with your senses already on full alert, Ngoma Forest comes as a surprise. Hansel and Gretel would have been at home here, among the lofty trees of Zambezi teak that once dominated much of the region. Few visitors will witness the flowers that wash the canopy with soft pink during the rainy season, but after the leaves have fallen it is an eerie landscape of monochrome brown and penetrating silence. Ngoma has other surprises, too. Turn up at the Elephant Orphanage at 11am and you might witness a little procession of the pachyerms topping a distant hill, returning from the wild in leisurely fashion for lunch. And so to the deep south, the ‘wild west’ of Kafue. Only Nanzhila Plains Safari Camp stands as a beacon on the wide plains here. A series of driving loops take in the grasslands bordering river courses that are fringed by woodland and shallow pools. Saddlebill storks and the near-endemic black-cheeked lovebird, with its highwayman’s mask of disguise, add further colours to the palette. But pride of place in this stirringly beautiful landscape must go to the sable antelope. Stately and regal in his black finery, he stands and surveys what is surely his domain. Long may his reign last. As one of Africa’s largest national parks, the Kafue could potentially be one of the last strongholds of the lion. Yet little is known about their existence here. What happens to them in the rainy season? Are their numbers on the rise, or decreasing, or simply stable? These and other questions are the subject of PhD student Neil Midlane’s dissertation. Mukambi Safari Lodge (www.mukambi.com) is perfectly positioned for short-stay visitors, with easy road access from Lusaka. Many are happy just to chill in the pool or watch wildlife on the Kafue River from the deck, but boat trips are an even better option – and at the end of each day there are comfy four-poster beds in well-appointed chalets. Mayukuyuku Bush Camp (www.kafuecamps.com) Altogether simpler and more intimate than Mukambi, but equally accessible, Mayukuyuku has just four tents and a campsite on a level, sandy site by the river. A real plus is the camp’s welcoming and deceptively organised Zambian team, who offer game drives, guided walks and boat trips. Busanga Plains Camp (www.mukambi.com) Tucked away on a tiny tree island across a stretch of floating grass, Busanga Plains Camp feels about as far away from civilisation as you can get. Yet the water is hot, the (flushing) loos have a view, the food is top notch and the guiding is excellent. Shumba Camp (www.wilderness-safaris.com) Smart, stylish and very well run, Shumba is safari at its upmarket best. From their vantage point above the plains, guests inhabit a world of wooden decking topped by six spacious tented rooms. A dawn ride in a hot-air balloon is an appealing option here. Busanga Bushcamp (www.wilderness-safaris.com) It lives up to the name, a relatively rustic camp with a viewing deck in an old sausage tree, meals often prepared over an open fire, sandy pathways, and four en suite walk-in tents on polished concrete floors. Everything you need without the luxury. Musanza Bushcamp (www.wilderness-safaris.com) Strictly Musanza is south of the Busanga Plains, sharing an idyllic, tree-shaded location on the Lufupa River with a resident pod of hippos. Refurbished and enlarged to eight tents in 2012, it retains its sense of wilderness, but solar power brings an added element of creature comfort. McBrides Camp (www.mcbridescamp.com) is about as personal as it gets. Quirky and intimate, this is Chris and Charlotte McBride’s home, one which they share with all manner of wildlife – and a few human visitors in a selection of rustic chalets. Walking safaris with Chris are a must, and river trips a bonus. Hippo Lodge (www.hippolodge.com) may not have electricity, but battery-powered lamps light you to bed in simple walk-in tents or more substantial riverside houses. An attractive pool sits next to the bar, but much more appealing is a natural hot spring, where relaxing with a beer takes ‘going out for a drink’ to a whole new level. Leopard Lodge (www.leopard-lodge.com) A relative newcomer occupying a wide, open expanse of land bordering the Kafue River, Leopard is modern and well designed. The separate campsite is one of the best in the area, with private ablutions and a river frontage. KaingU Safari Lodge (www.kaingu-lodge.com) The key to KaingU lies in the detail. There are picture-perfect river views and a wide range of activities: take to the river; enjoy a picnic in their hide by the waterhole; cool off in pools above the rapids. Puku Pan Safari Lodge (www.pukupansafarilodge.com) Upstream from KaingU, but larger than its neighbour, and less personal, Puku Pan is one of Kafue’s more affordable options. Solidly built thatched cottages are en suite, and a relaxed open-sided pavilion overlooks their waterhole. Konkamoya (www.konkamoya.com) Laidback and somewhat idiosyncratic, Konkamoya occupies a prime position on the shore of Lake Itezhi-Tezhi, with four new stilted chalets. Guiding is up there with the best. Nanzhila Plains Safari Camp (www.nanzhila.com) It forms a neat horseshoe around the grass-fringed Nangandwe Pool, a magnet for herds of game and their attentive predators. Front-row seats are in the airy, open-fronted boma, raised above the floodplain. Getting there Access to Kafue depends very much on where you’re staying rather than where you’re going. Lodges close to the centre of the park are usually reached by road from Lusaka, a straightforward drive west from the capital. While driving is an option for the more remote lodges, and visitors to Busanga Plains Camp are usually driven there from Mukambi, most international visitors will fly to the airstrip nearest their lodge, followed by a short transfer/game drive. Getting around Driving yourself through Kafue is perfectly possible, provided you have a well-equipped 4WD with high clearance – and ideally a convoy of two for safety’s sake. Most visitors, however, stay at one of the park’s lodges and explore with a guide by game-drive vehicle or by boat. Balloon trips on the Busanga Plains for Wilderness’ guests add a further dimension. When to visit Although the central lodges are open all year, much of Kafue is off limits during the rainy season, roughly from late October to mid-June. This might be a great time for birders and photographers, but access to areas such as the Busanga Plains or Nanzhila is impossible. As the land dries out, around April–May, the temperature drops and photographers will appreciate the clear light, though movement around the park is still very limited. From June onwards, when the grasses start to die back and water becomes increasingly scarce, animals are more visible, making this a particularly good time for safarigoers. Health Malaria is endemic throughout Zambia, so precautions are essential. Tsetse flies can be a nuisance in wooded parts of the Kafue, making a good supply of insect repellent even more important. Check with your doctor or travel clinic for vaccination requirements, including possibly yellow fever. 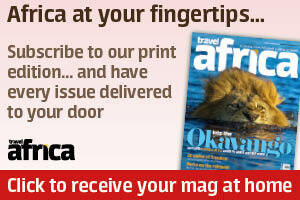 Visas Visas for Zambia are required by most travellers, including British and American passport-holders. Single-entry visas (US$50) may be bought on arrival at international airports, though note that payment must be made in US dollars cash, and the exact money is usually required. 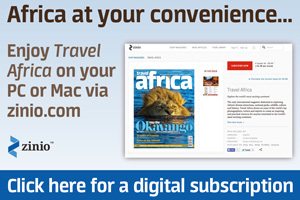 Sign up to our FREE Shamwari Newsletter and we'll share additional content, ideas and advice to inspire you to plan your next safari to the world's most exciting continent.